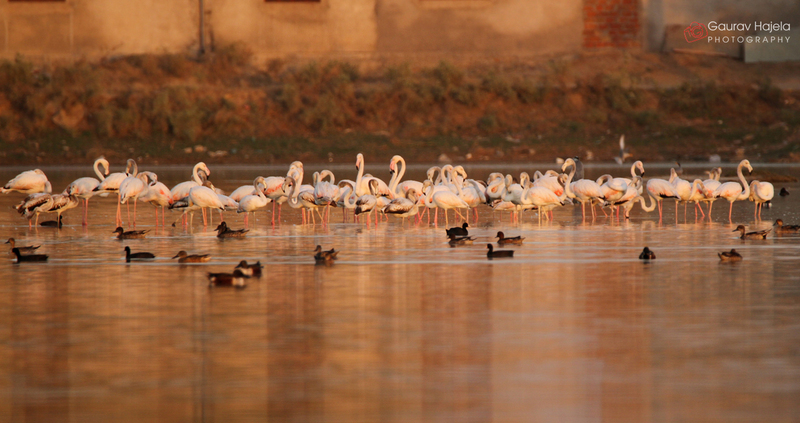 Have been planning to go to Bharatpur to catch some beautiful birds for a very long time ?? 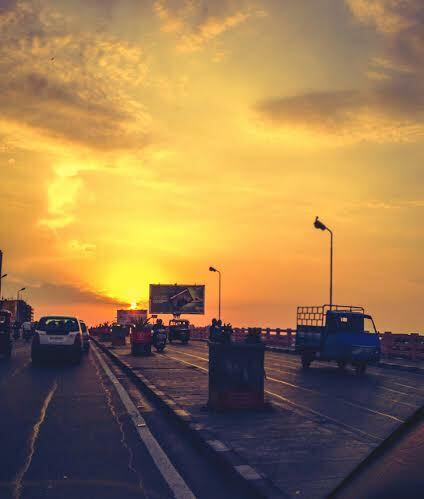 Just keep that idea on hold, pick up your car/two wheeler and drive to Barkheda ! Is it really as easy as it sounds? Well the answer is yes. 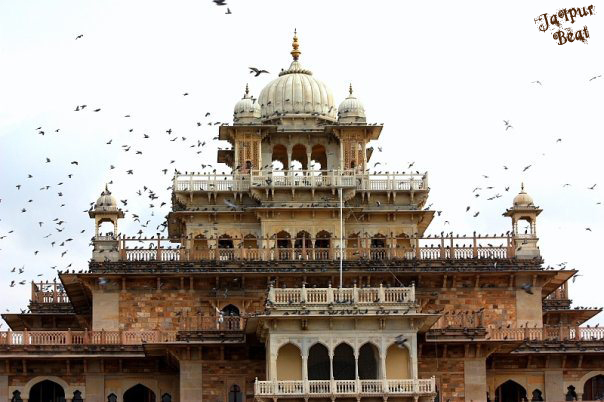 While staying in or visiting Jaipur, if you think that there is just architecture, elephants, shopping and food to look out for, it’s time to get your facts right. 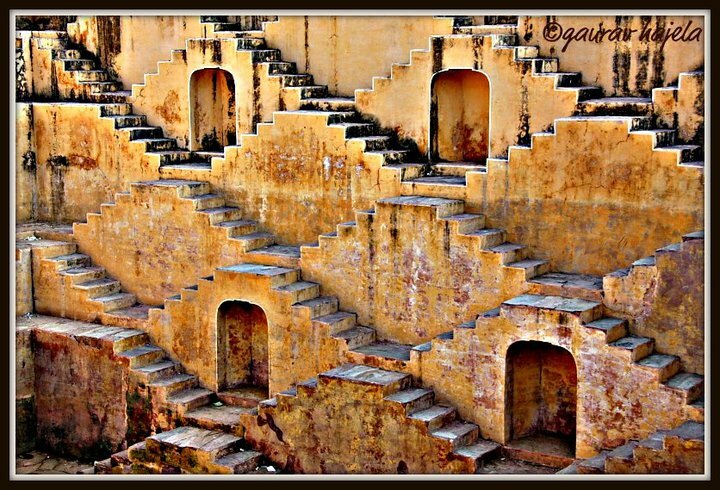 Located 20 km away from Jaipur, Barkheda is a village in Rajasthan. 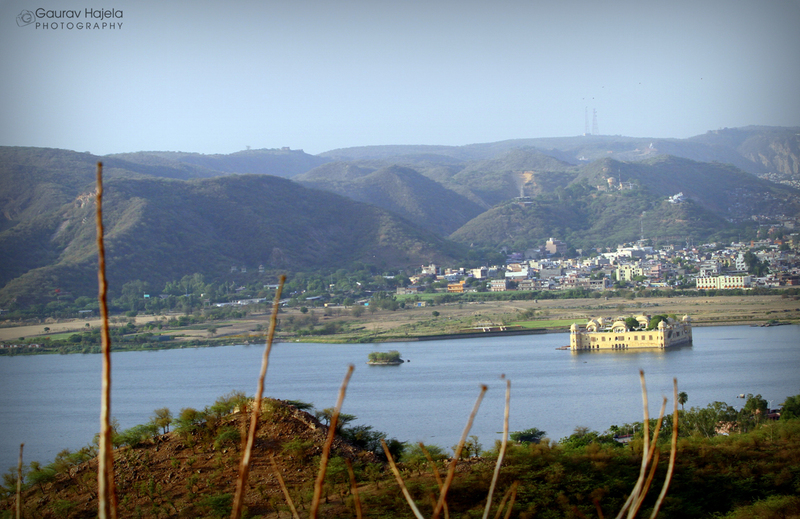 Right in front of the famous Jain temple, there is a lovely pond which is definitely not an ordinary water body. 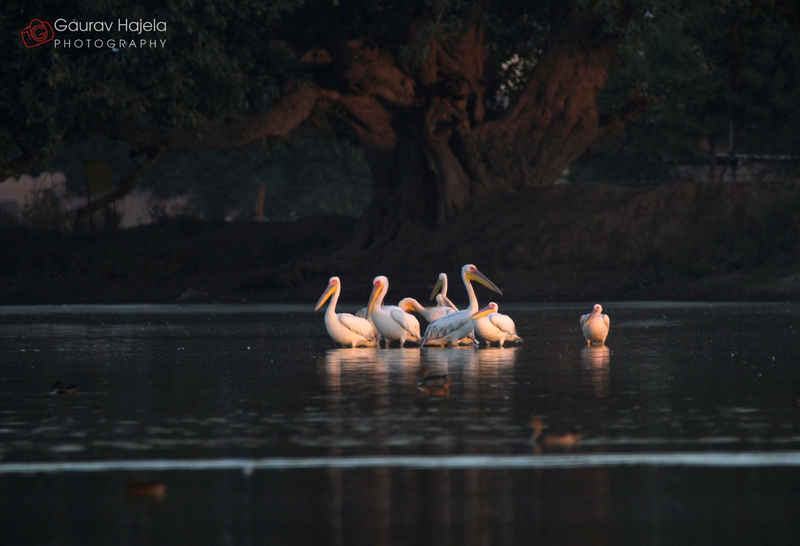 Where the sweet onset of winters brings us closer to our beds and pushes us further away from early mornings, there is someone who loves to travel and are absolutely fresh and active in winter mornings: The gorgeous water birds ! Now that you have reached there at sunrise, just put your stuff down and take a moment to gaze at the pure beauty of the sun rising over the pond. Playing in water and taking off to fly in the sky, you can now see indigenous water- birds as well as migratory water birds and waterside birds in the shimmering pond to your left. 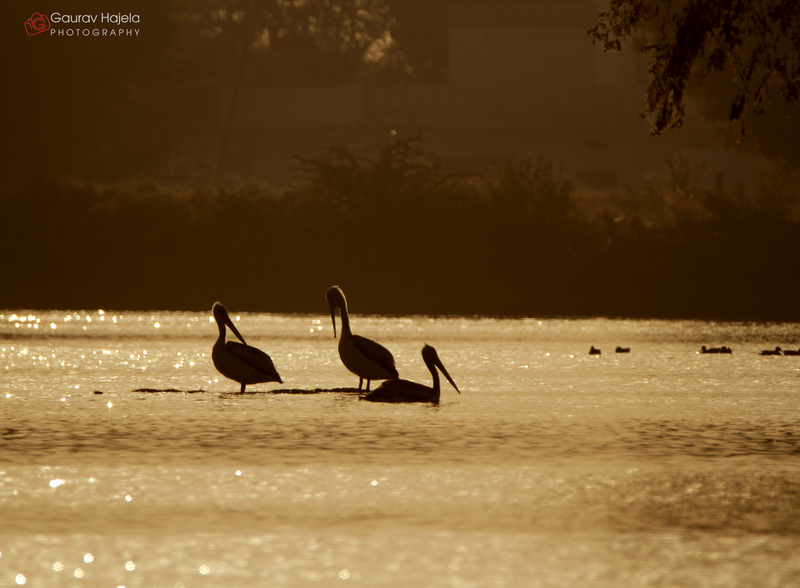 The migratory birds include Greylag and Barheaded Goose, Rosy Pelicans, Dalmation Pelicans and Greater Flamingos. When the first ray of sun falls on the water, the reddish orange light that fills the sky and reflects on the bodies of these birds, is worth catching ! 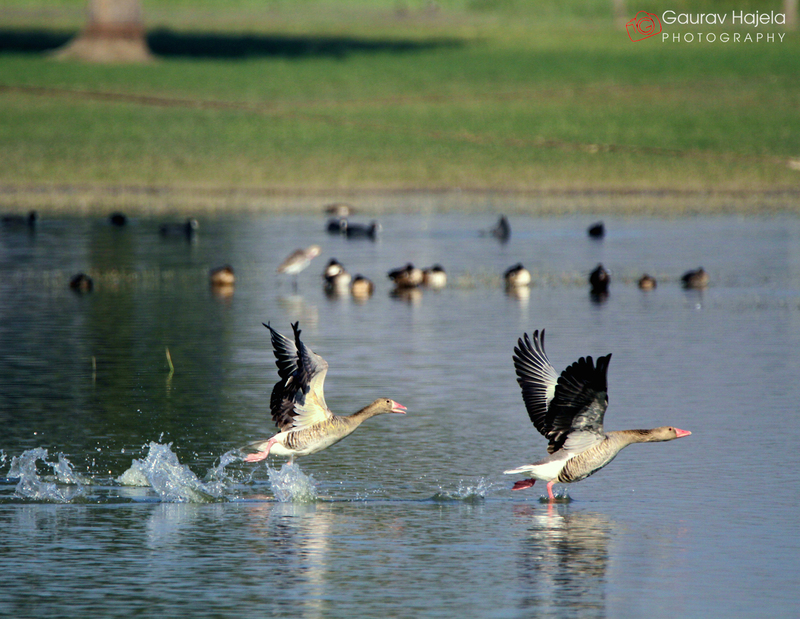 Greylag and Barheaded Goose during takeoff at Barkheda Pond, near Jaipur. 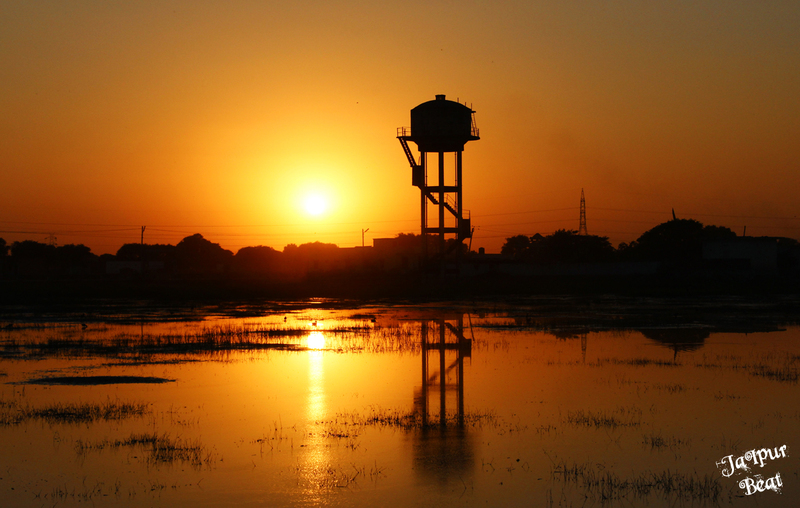 On the other hand, if you are planning to go at the time of sunset, get set to get that bright orange light and the water will shine and you will know that this sight is surely more precious than any gleaming precious gem in the world. Sometimes, you can also click a picture against the sun to get a different treatment. 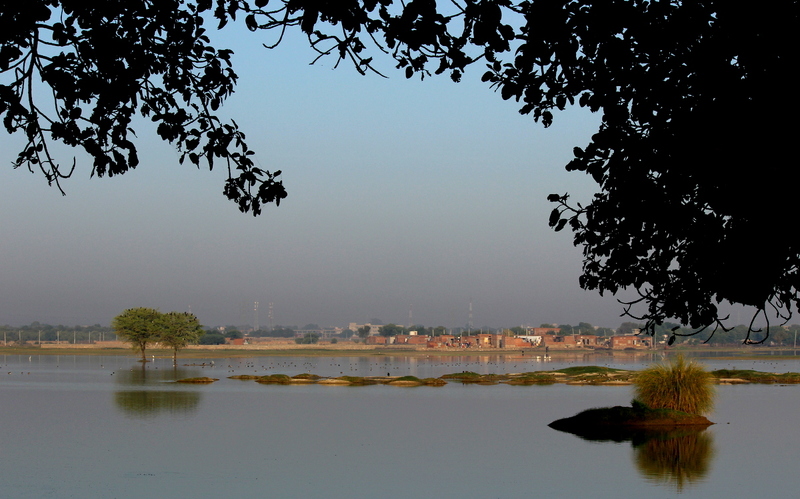 Apart from photography, Barkheda pond is also a superb destination for sightseeing and picnic, so pack your bags with some sandwiches and other snacks and experience the warmth of sun and calmness of water in the company of chirping birds this winter! 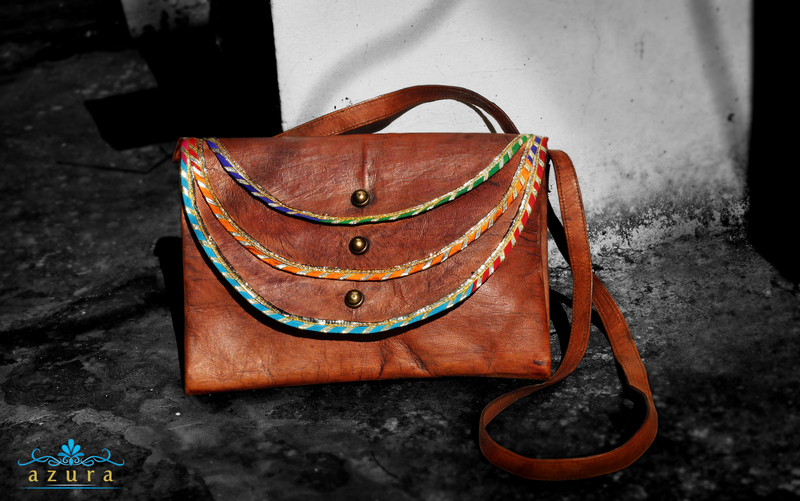 Handcrafted Tote-ly bags- A new take on leather bags! With a classic and subtle twist, Azura is an evolving label that aims at exclusivity and offers an extensive range of products viz leather totes, wallets, laptop bags, sleeves etc. Their creations have the unmistakable essence of rich craftsmanship which perfectly refines a woman’s worldly sophistication in an entirely different way. 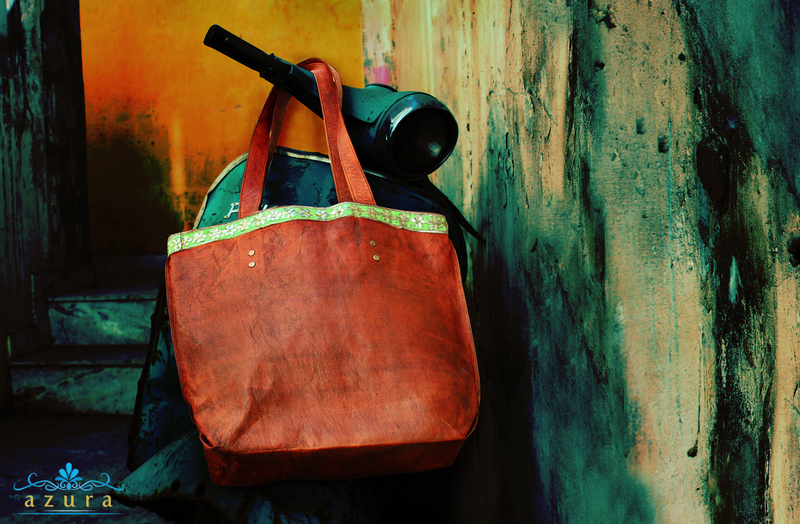 Setting a new benchmark in the industry, Azura’s exclusive line Tote-ly captures the true essence of pure leather with eccentric Rajasthani prints and handwork in a very unique and fashionable way. The intricate designs are carefully handcrafted by the weavers and craftsmen from the remote areas of Rajasthan to create masterpieces that are versatile and can be easily worn around the world. 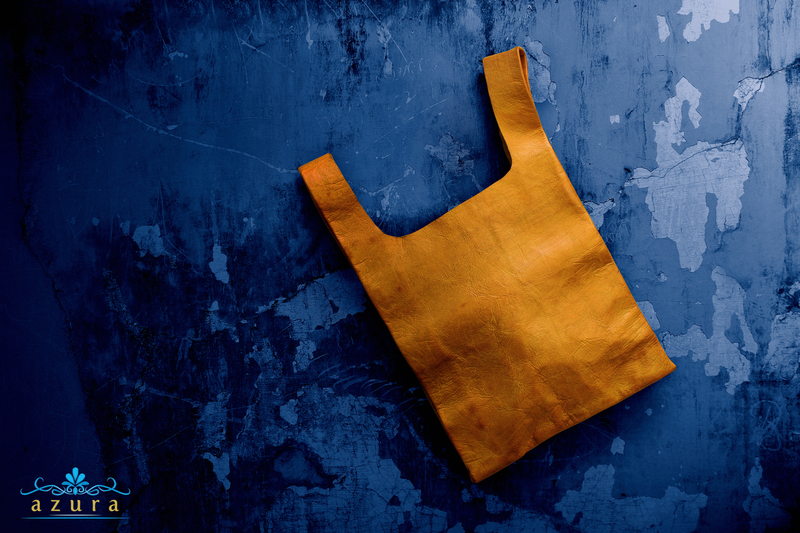 The designs are fresh, innovative and classy; it seems that the brand experiments creatively with the leather so that they can bring to their patrons an enriching and durable product. 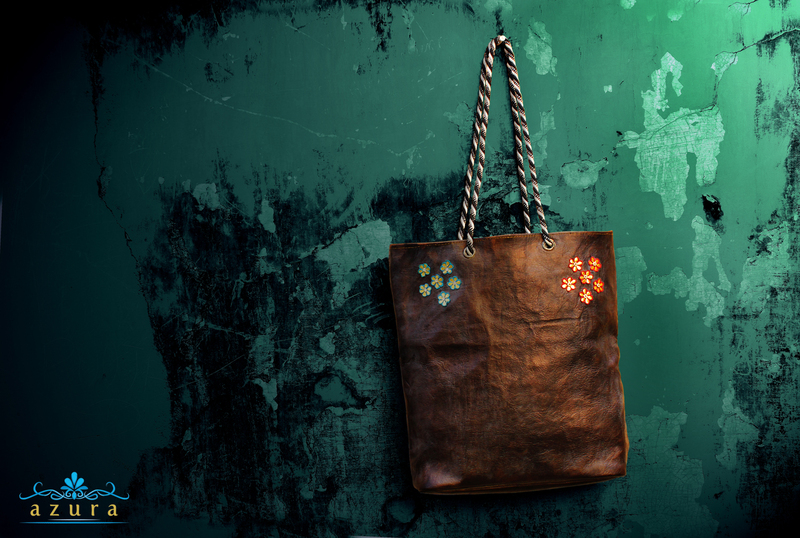 Tote-ly by Azura is a fresh installment in fashion by Neha Charles worth, whose passion for bags and fashion is a never-ending quest and hence the force behind the line. 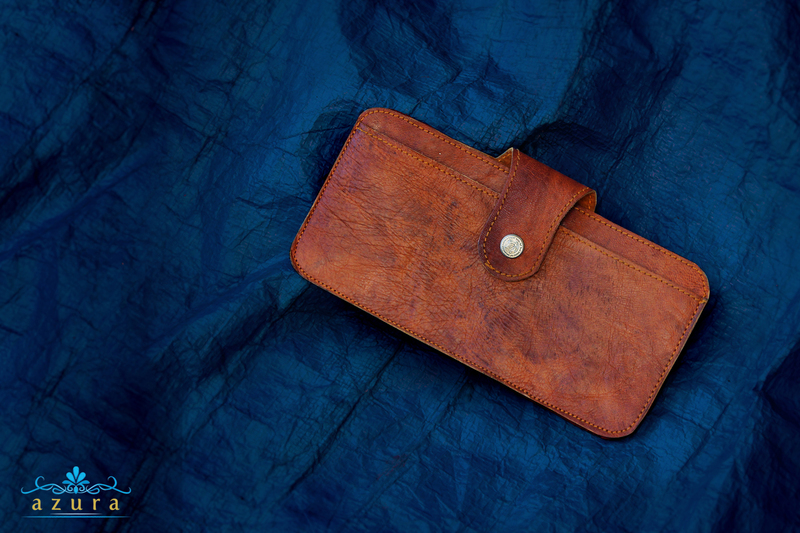 With a clear understanding for people specific needs and gifting ideas, Azura also offers corporate gifts, customized leather products and personalized leather gifts to its clientele. 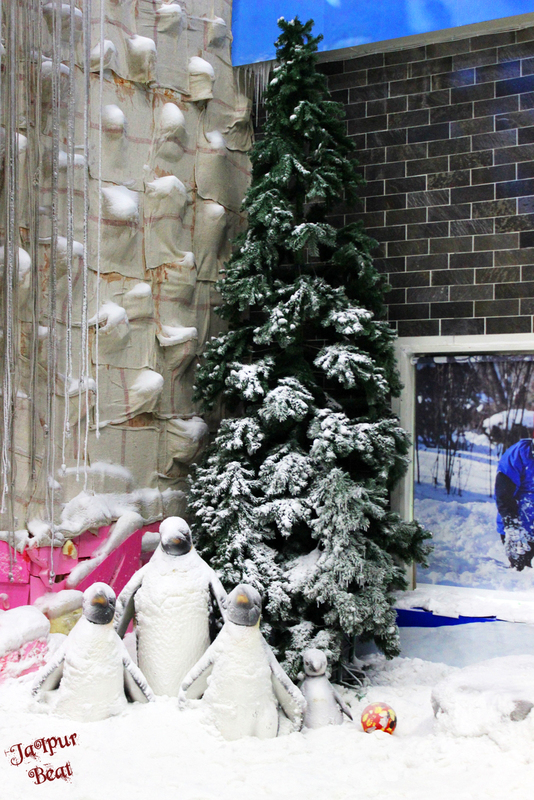 Enjoy The Wintry Days At Tea Tradition! Isn’t a cup of hot Masala Tea along with Aaloo Pakode a perfect combination to satiate your hunger pangs on a breezy day? 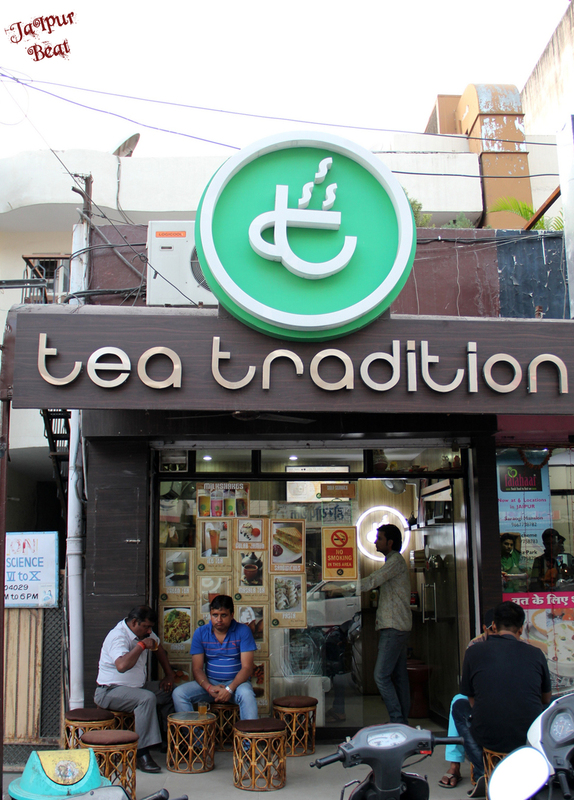 Tea Tradition at Raja Park is definitely one of those places that will appease your diet with a range of eats and teas which can be savored anytime during the day. 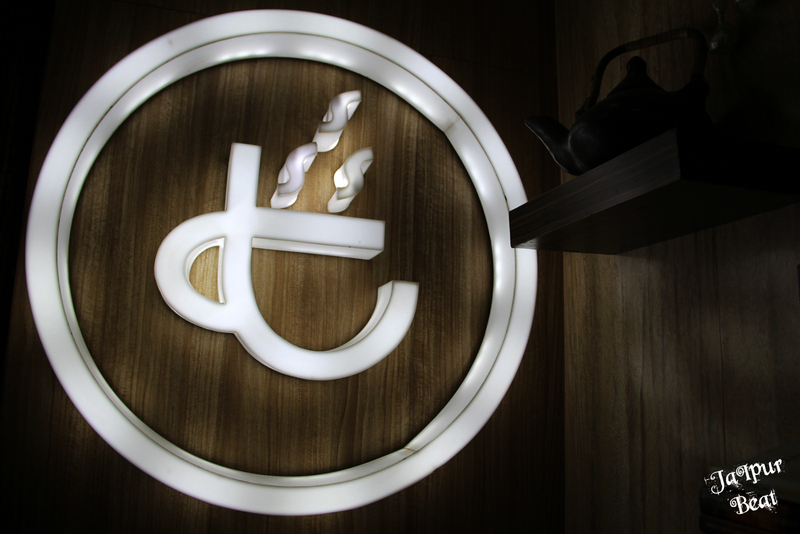 If you wish to chill out with your friends without spending too much, then Tea Tradition offers great choices for you all. 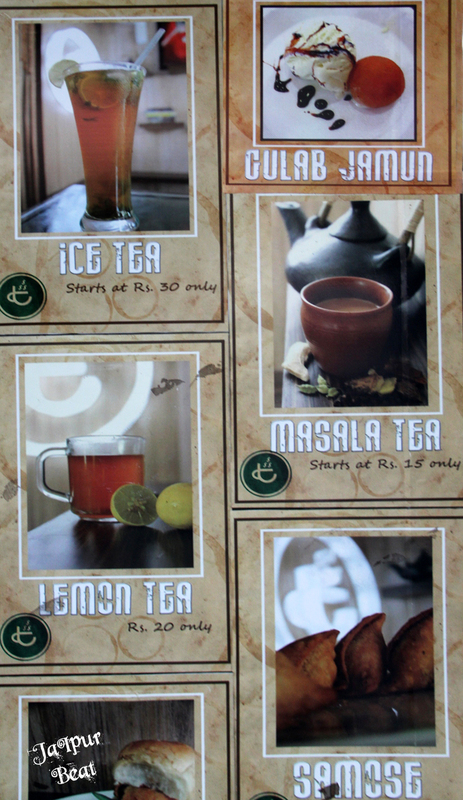 The iced tea, milk shakes and cold coffee here will certainly please the crowd who are totally indifferent to changing season, while the tea lovers should absolutely break the tradition of sipping their regular home-made teas and head towards Tea Tradition. You won’t be disappointed at all with the variety of snacks offered here. The eats would totally go well with your beverage. Though the seating capacity here is limited and you might have to wait before you comfortably seat yourselves, but the food and warmth with which it is served would impress you without fail. And you will surely forget about your irksome wait. 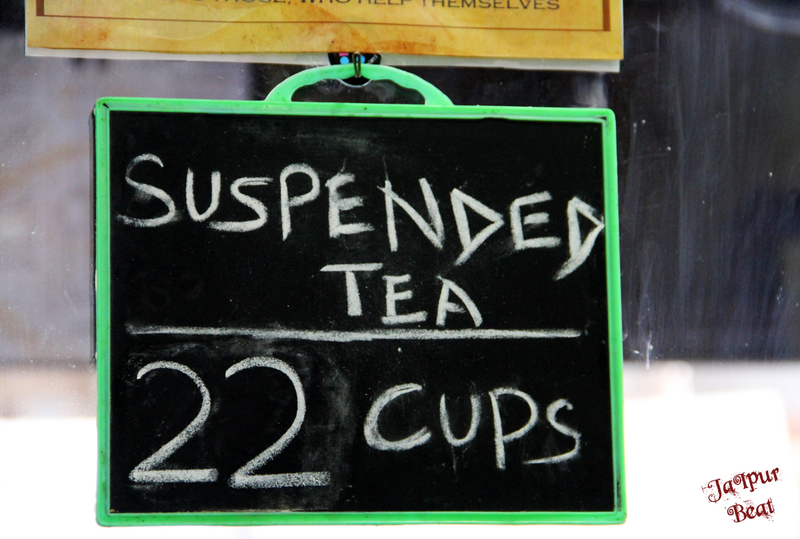 Another interesting thing which we got to know about Tea Tradition is that it completed its 100 days on November 7, 2014. 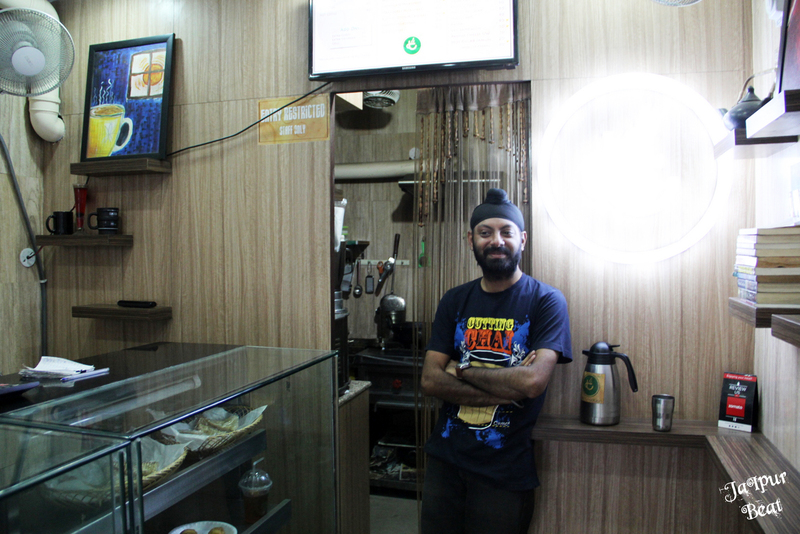 Jasmit Singh, the proud owner of this cafe enthusiastically told our team members about how his cafe attracted a lot of crowd on that day. Their joyous celebrations of completing 100 days were visible on their Facebook Page. 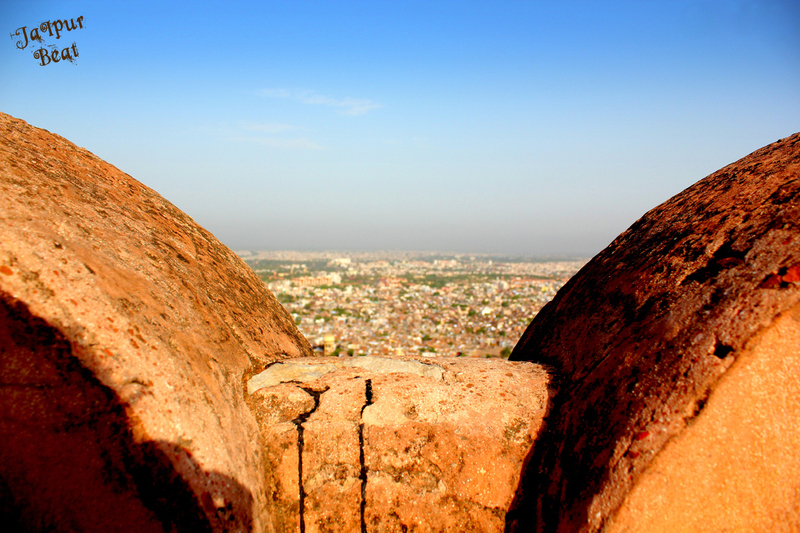 Happy 287th Birthday Jaipur ! 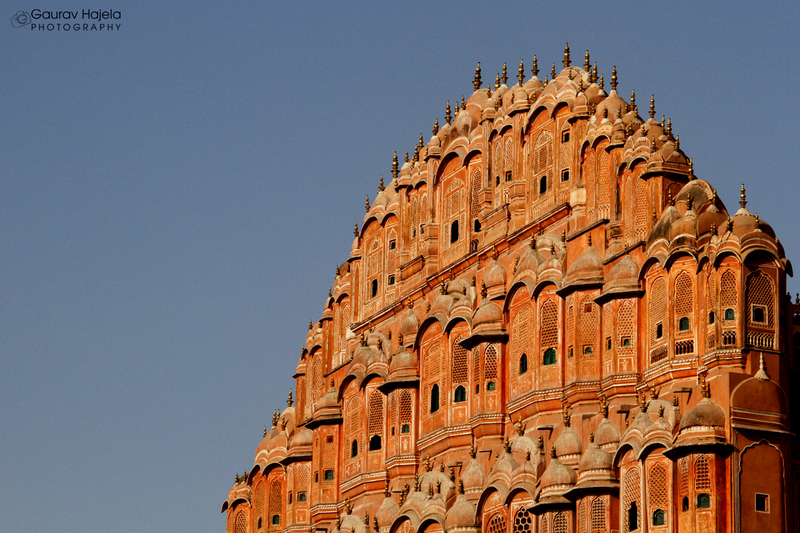 The capital of Rajasthan and one of the happiest and most colorful cities in India, Jaipur was founded on 18 November 1727 by Maharaja Sawai Jai Singh II, the ruler of Amber, after whom the city is named. 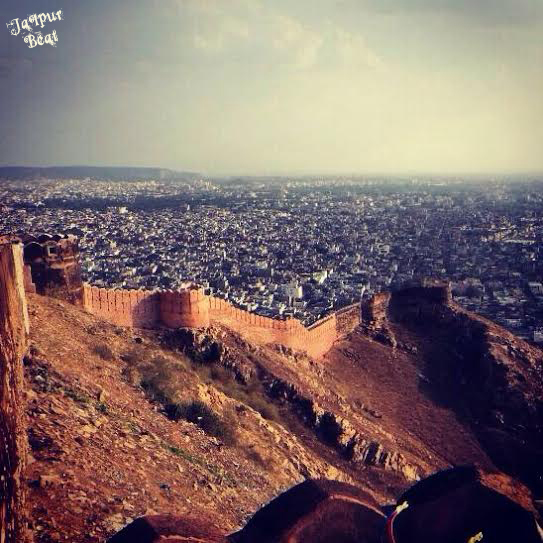 Also known as the pink city of India, Jaipur has seen and grown a lot in the last 287 years and is definitely not stopping ! 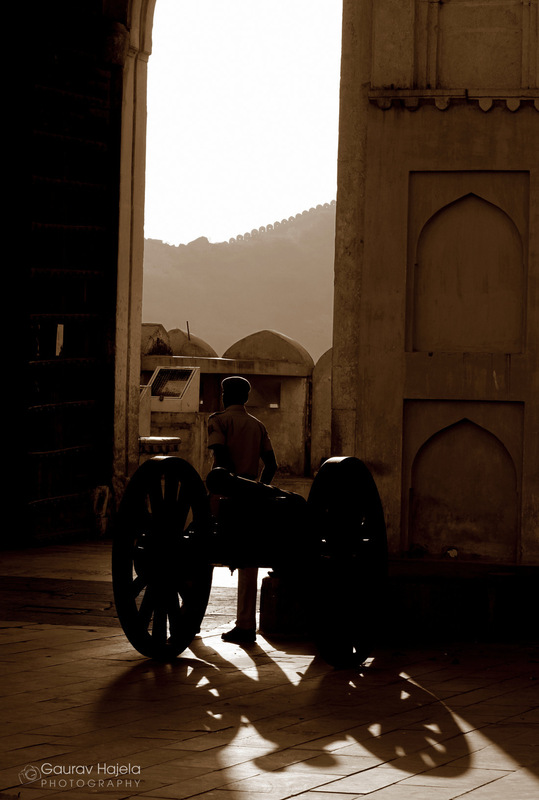 So watch your dear pink city from the eyes of a photographer in these wonderful pictures depicting Jaipur in a way probably never seen before. Since the temperature is now dropping and summers are about to depart, don’t you think you should take full mazaa of this leaving summer ?? 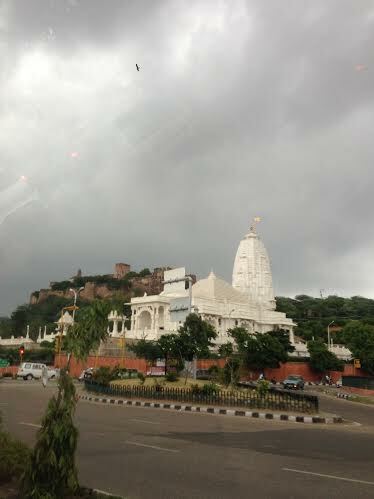 Umm so what can be a different place to go to in Jaipur where people of all groups can have a gala time ? The answer lies in GT Central. 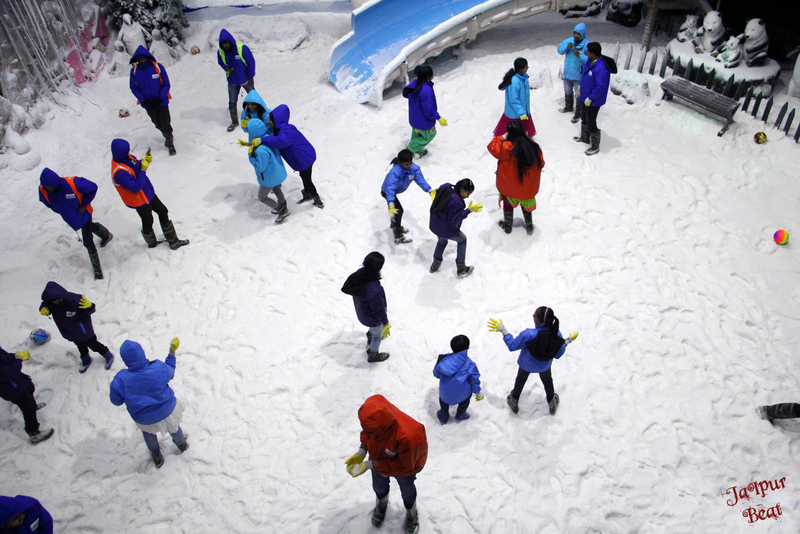 It is the new ‘Snow Park’ that has opened in Jaipur !! 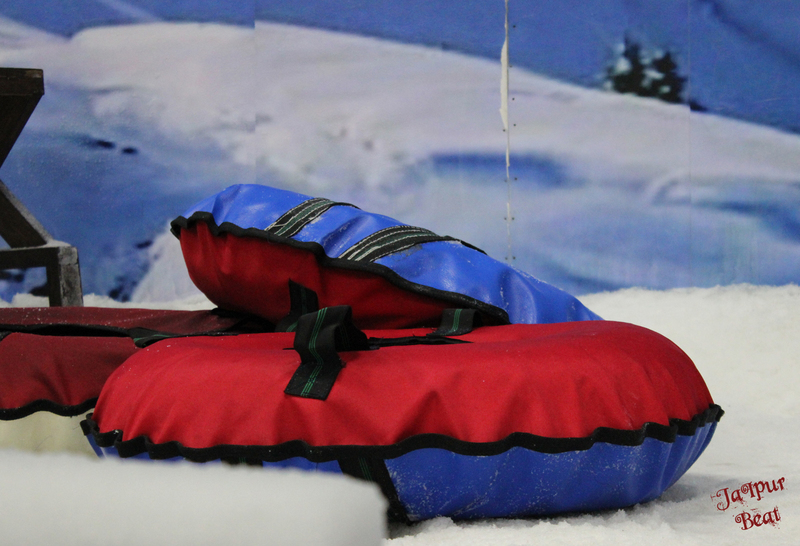 Just continue to climb up and it keeps getting better and more fun 😀 You can do sledging for which there are two separate sections, one for adults and another one for tiny tots which is smaller and not too steep. 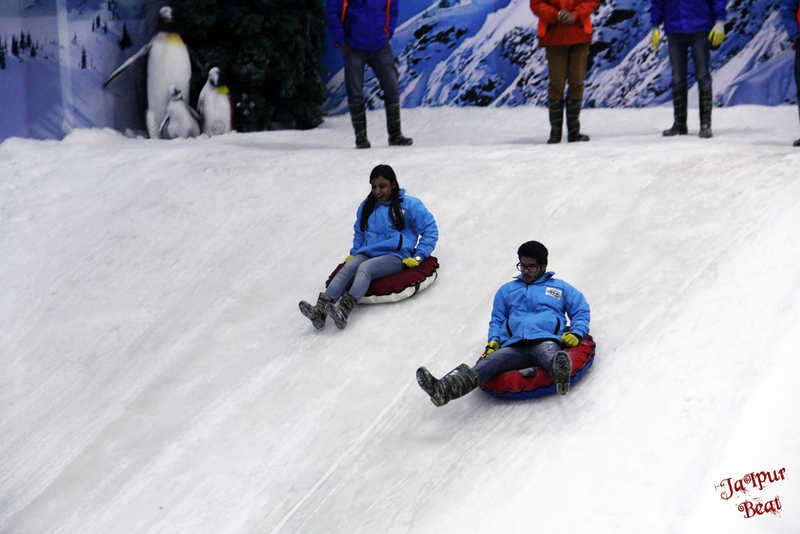 Apart from this, you will also get to witness snowfall making you feel like you are in a magical haven, cocooned in snow where snowflakes are falling like feathers from heaven and there is nothing more serene in the entire world. P.S The timings are 1 p.m. to 10 p.m. for weekdays and 11:30 a.m. – 10 p.m. for weekends and holidays. 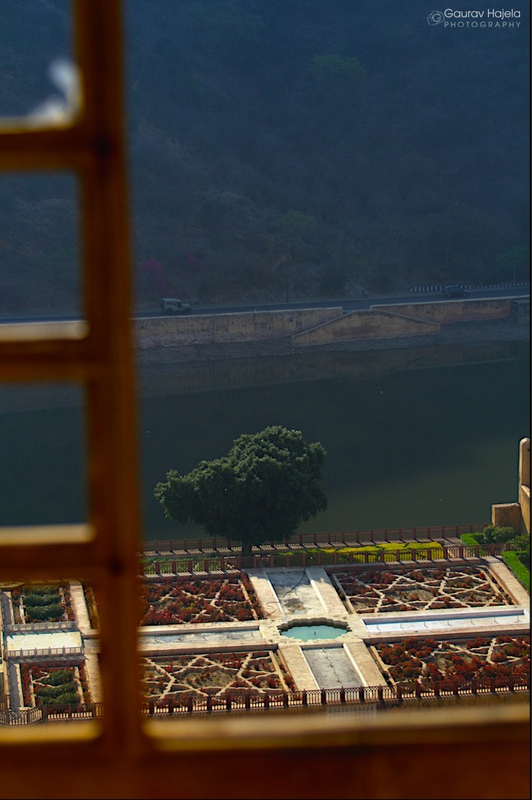 Get The True Mumbhai Feel In Jaipur ! 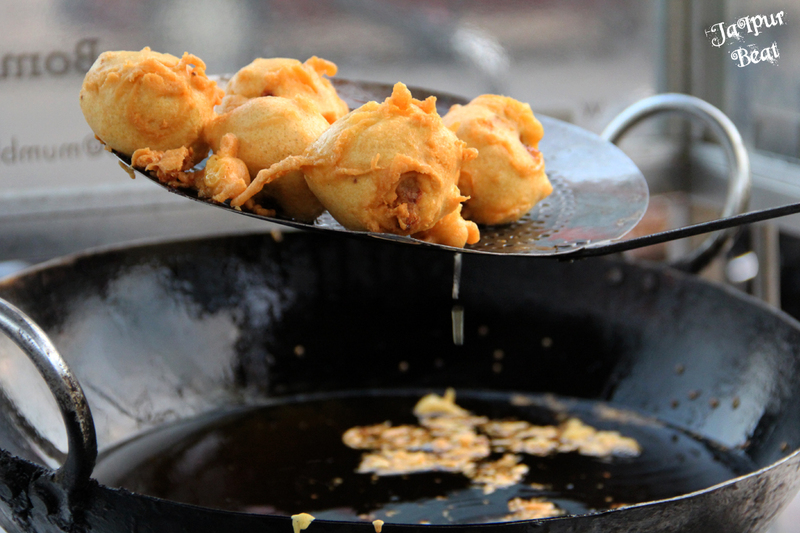 Mumbai street food is famous not only in Maharashtra but throughout the country. 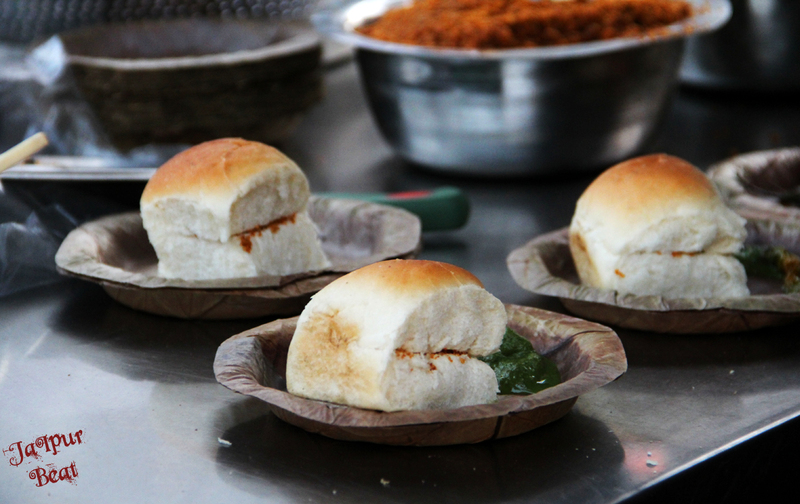 Who doesn’t love a plate of hot and spicy Vada Pav along with some Cutting Chai ?? So put on your shoes and dash out of the door to reach Jaipur’s newly opened street eatery at Raja Park, ‘Mumbhai Express’. If you go there to satiate your chatpata pangs, you should definitely not miss out on Schezuan Bhajjia and Kanda Bhajjia which will remind you of the Bombay street culture. The fresh and soft Bhajjia will be relish to your taste buds and Mumbhai Express’s idea to bring flavors of Bombay to the Jaipur Junta is not new but what makes them different from the rest is their ideology to keep the authentic taste of their dishes intact. Very few eateries are able to present the real flavors of such dishes. Another interesting thing that would immediately appeal your eyes is the design of their logo. 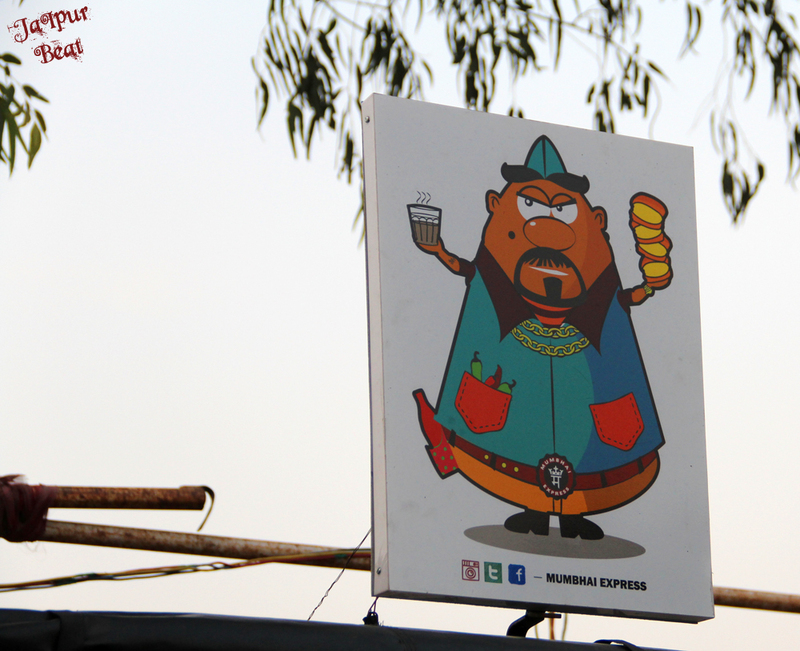 A huge and plump man with round eyes holding Vada Pav in one hand and Chai in the other. That man in their logo would clearly remind you of a desi, grumpy BHAI of Mumbai who loves eating. Sounds typical? Oh! you go there and see it. 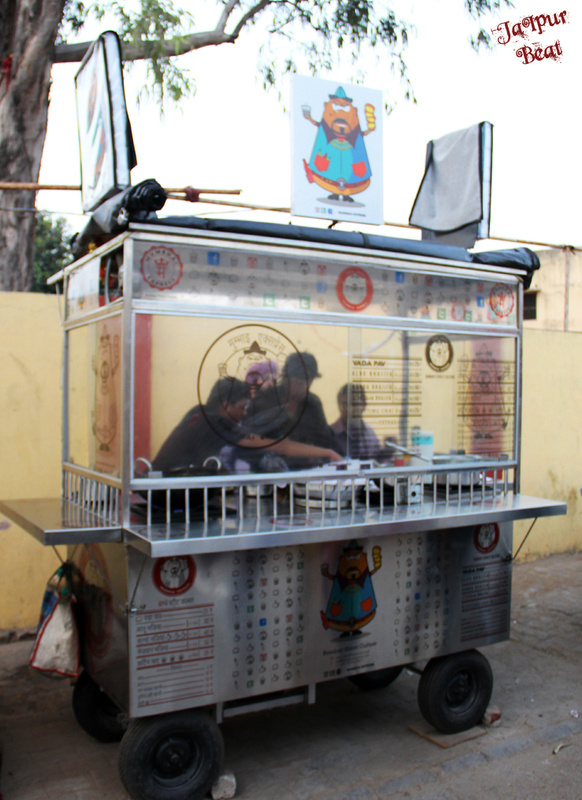 This street eatery near Panchwati Circle opens at 4:30 in the evening and runs till 10. 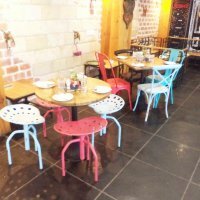 Though this eatery is relatively new but has created a lot of buzz among Jaipurites using the power of social media. 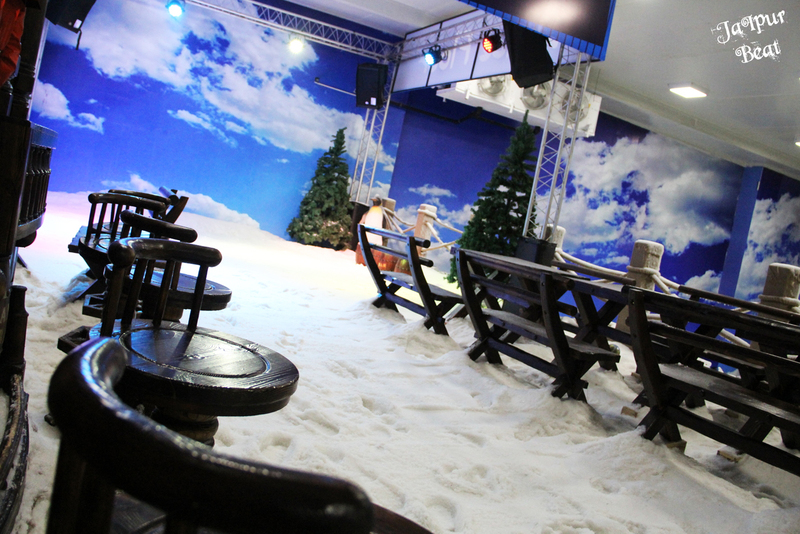 They plan to attract more and more people by marketing themselves via their Facebook page and Twitter Account. Now that is one thing every modern day restaurant or eatery is doing to become crowd-pleasing. Social Media has truly revolutionized the world. 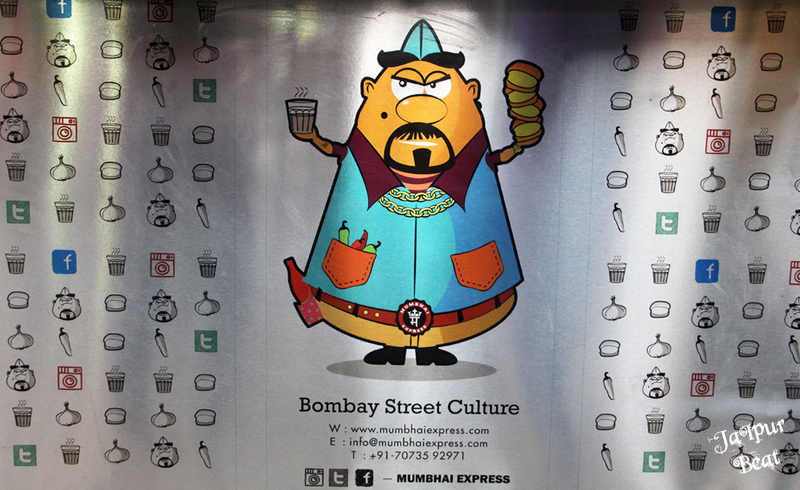 If you are looking to dig into some light and delectable Bombay street meal then head to Mumbhai Express and you would surely enjoy their food without burning a hole in your pocket. There is no kid who doesn’t love watching those movies, where they don’t just watch it, but feel like a part of it ! 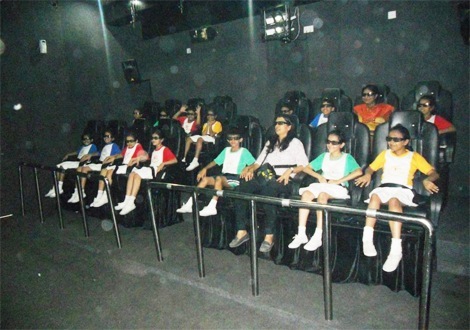 With more than 7 special effects, when these seats move according to the screen and shows you some very interesting shows, your child is sure to have a thrilling time at Modern 7D located at Pink Square, Jaipur !! Extend your children’s day celebration plans as floating leaf cafe is organizing the kids carnival where endless entertaining activities like cake cutting, games, rides, tattoo, photo booth, Khoi bag await your kids. It will be a fun event for the toddlers who can enjoy interesting activities along with delicious food options like chaat, pasta, pizza and more. 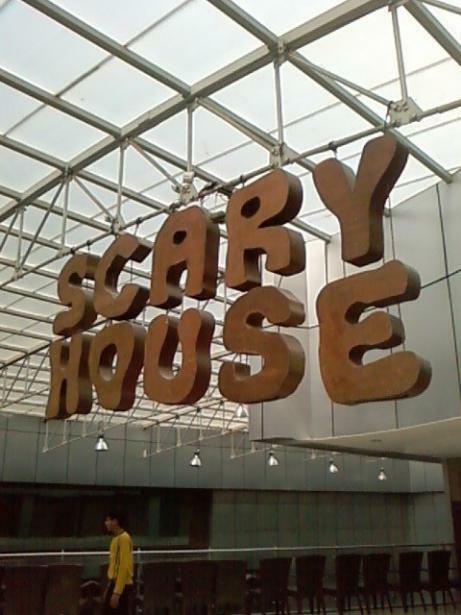 The entry fee is 500 per person. With a big tub of popcorn and tall glass of cold drink, a child feels like he/she is in a perfect heaven of entertainment. 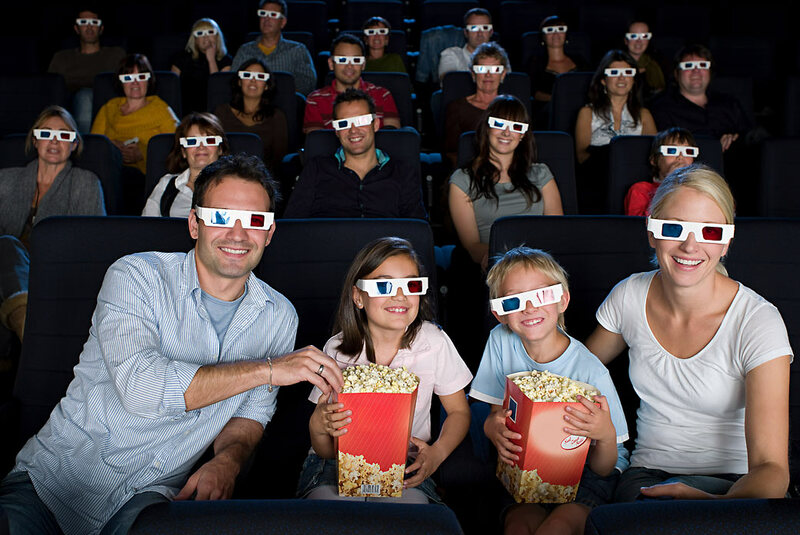 So take the little kids to a movie and watch them getting lost in their own world for 3 hours straight. 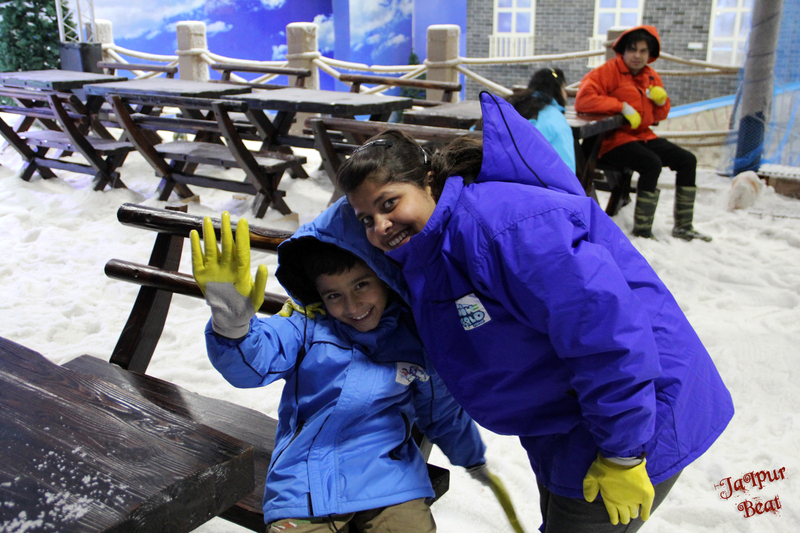 There are few places where one feels like a child again and Purple promises the same fun & excitement . 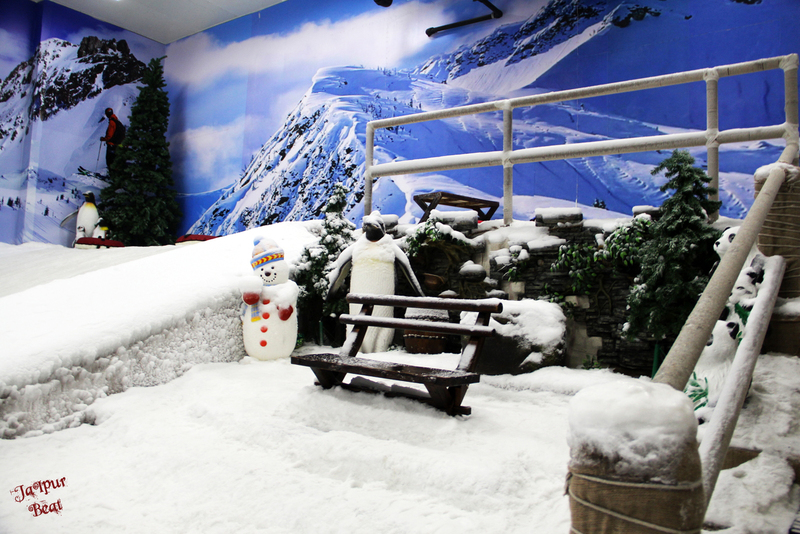 This gaming parlour has a complete package of entertainment and fun where your children and you can spend quality time together, Enjoying thrilling video games along with some scrumptious food options. 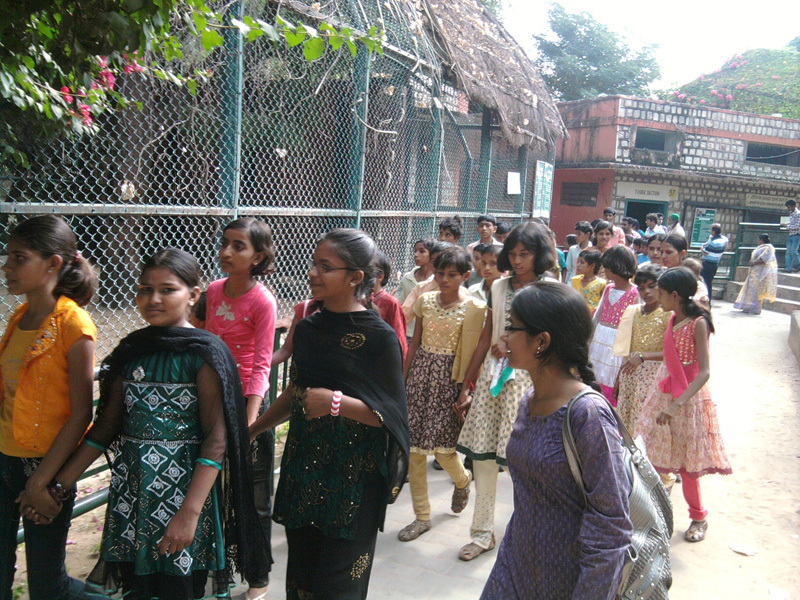 If your child loves to watch Discovery channel and is truly interested in watching animals and their cute ways, just take them for a tour to the Jaipur Zoo. 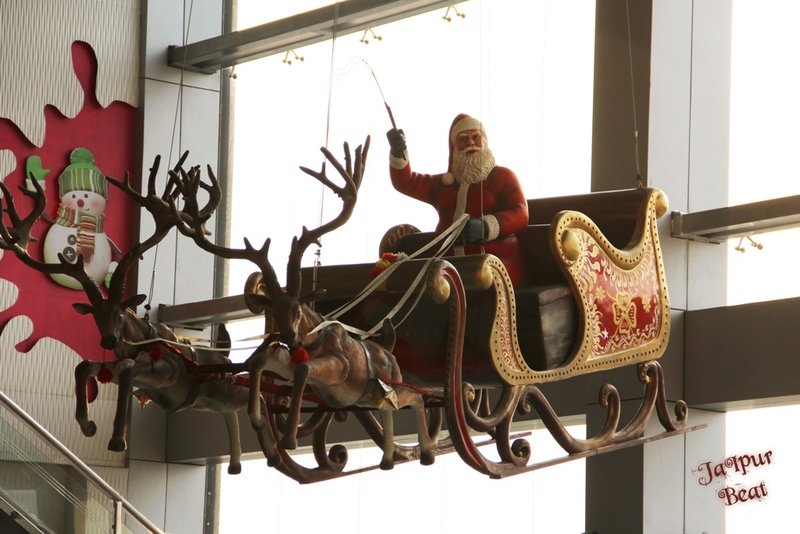 Located near Albert Hall museum, it is quite a delight to watch with a huge variety of animals ! !